Felipe Anderson was West Ham’s record transfer during the summer. But the Brazilian has failed to set the London Stadium on fire. With six games to go, Anderson could be the difference for Fantasy Premier League managers as they make an end of the season push. Anderson missed out on the Hammers’ 2-0 loss to Everton at the weekend. It was revealed after the match that an ankle injury prevented the Brazilian from taking part in the game. Anderson has been hot and cold for West Ham this term. He has found the back of the net eight times while setting up five goals. But Anderson’s inconsistent scoring has mirrored that of the team. Felipe Anderson – Was he worth £36m? West Ham have surged at times this season while looking well off the pace at others. Anderson’s last Premier League goal came all the way back in December when he scored twice against Southampton. The Brazilian has now gone 12 games and three months without scoring for West Ham. He has tallied two assists during that timeframe helping West Ham secure a draw and a win. Anderson has tallied 135 Fantasy Premier League points placing him atop the characters for West Ham players. His double-digit gameweeks have ceased and since the two-goal game against Southampton, Anderson’s best gameweek points total was eight. That tally came in gameweek 25 against Liverpool. 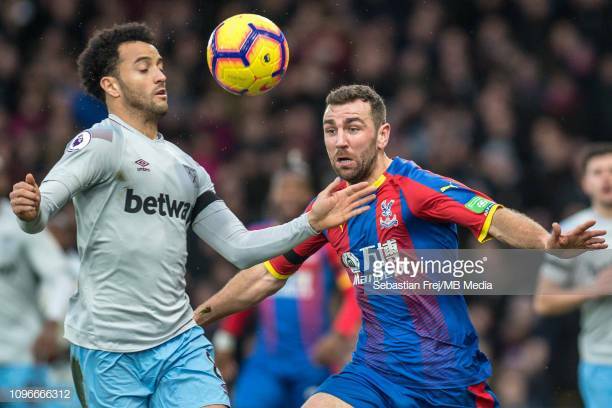 Felipe Anderson – Can he lead West Ham into Europe? West Ham can still qualify for the Europa League. They need Manchester City to win the FA Cup and to finish in seventh place. On paper, it seems possible, but looking at West Ham’s fixture list and considering their inconsistencies, it is difficult to believe Europe will happen. At least not this season. West Ham face Chelsea, Manchester United, Leicester City, and Tottenham Hotspur in the next four gameweeks. Anderson is 75% likely to place against Chelsea next Monday. With a week to go until the fixture, Anderson will have ample opportunity to overcome the ankle injury that prevented him from playing against Everton. The Brazilian’s previous performance against Chelsea wasn’t flattering. He played just 73 minutes and recorded two points. Anderson will need to do better this time around to lead the Hammers to a win.